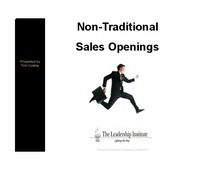 The Leadership Institute currently offers the following classes through the Online Learning Center so that members can train their sales staff without costly travel expenses. These self directed programs can be completed from your office during normal business hours or from any location, at any time. These classes are ordered in the natural progression of a sales call and should be taken in that sequence if at all possible. Once a member has obtained 15 credits and passed the comprehensive exam offered annually at the AFCP Conference and Trade Show, individuals are awarded their certification as an Associate Advertising Executive. You can go to the Online Learning Center now and register to take either or both TLI-104 and/or TLI-106, the first two classes in the sequence. Once you are registered and the AFCP member status of your company is verified, you will be sent an enrollment key necessary to access the rest of the courses that are available through the Online Learning Center. 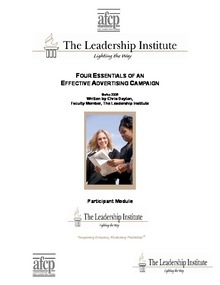 The Leadership Institute has developed a comprehensive group of 100 and 200 level courses to develop participants into Certified Advertising Executives. 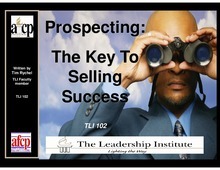 Check out the listing of offerings and you will understand why you need to get your top performers into these classes. 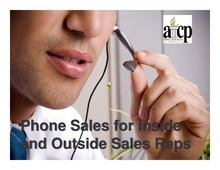 It can only improve their effectiveness and increase your sales! Every great book begins with an exciting first page that grabs your imagination, pulls you into the story and leaves you wanting more. 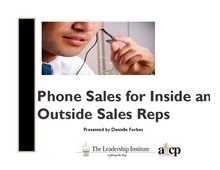 This course will teach you how to grab a prospect's attention and turn your cold calls into warm appointments. Congratulations! You've secured an appointment... but how do you make a great first impression and engage the customer in the process? 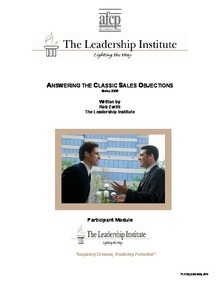 This class will focus on building an agenda, confirming buy-in from the customer and managing any objections that might occur at this point in the sales process. 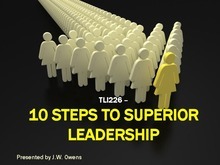 Put your prospects, customers and employees on a pedestal without saying a word. 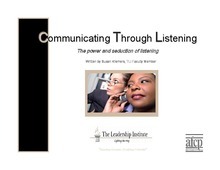 In this course, you'll discover the power of effective communication through a variety of listening concepts and techniques. If your prospects don't believe they need your product, they will not buy your product. 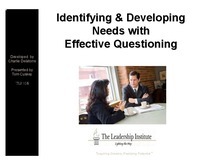 In this course you will learn how to ask probing questions that lead to implications and help your prospects identify their own need for your product. What happens when you uncover a need? 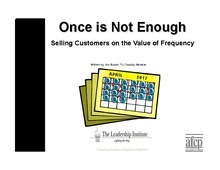 Learn how to make sound recommendations by offering the features and benefits of your products that illustrate the VALUE of your product in your customer's mind. 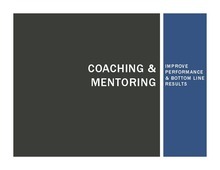 This course focuses on building a recommendation that is the solution to your customer's problem(s). 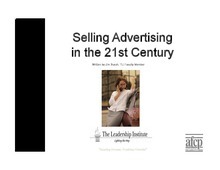 This course offers a straightforward recipe for successful advertising programs. We will explore how mixing the concepts of Value, Impact, Circulation and Consistency will produce customers for life. 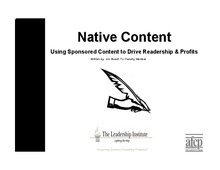 This session covers positioning your publication relative to your competition in your prospect's mind. 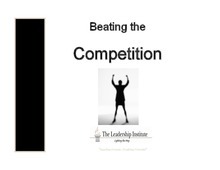 Using your strengths and exploiting your competitor's vulnerabilities to win and keep business. Need to write a proposal, but have no idea where to start? 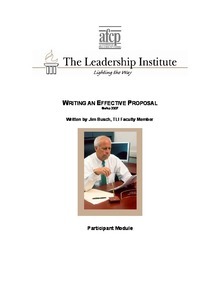 This class will teach you the basics of writing an effective, thorough and customer-focused business proposal. Never have enough time? Feeling like you can’t cover your entire territory effectively? Learn the art and science of maximizing your time and getting more out of your sales territory. 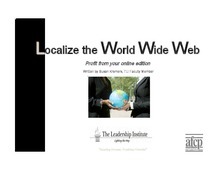 The world is your territory when you know how to effectively sell network classifieds. 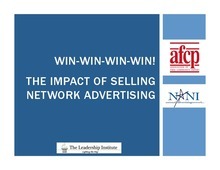 Learn how to identify network prospects and sell national advertising programs to increase your profits and expand your advertisers reach. As a sales rep, it's your bottom line that's affected when the ad doesn't work for your client. This course discusses the visual elements of an effective ad-- from layouts that sizzle to messages that entice readers to respond. Additionally, you'll receive an ad analyzer-- a tool to help you judge your own advertisements' effectiveness. The Yellow Pages continues to be a formable opponent in the advertising world. 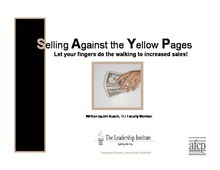 Develop and master the art of maximizing your strengths and attacking the weakness of the Yellow Pages to win the battle for your clients advertising dollars. 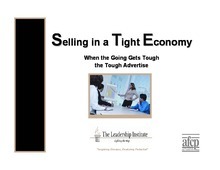 When the going gets tough… do you or your sales team run and hide or adapt and persevere? 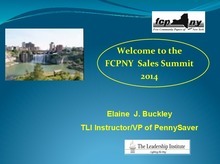 Learn sales strategies and techniques that will build confidence and get sales results in a tight challenging economy. 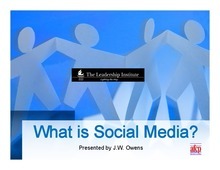 Learn how to use Facebook, LinkedIn and other social media sites to promote your professional expertise. Professionals around the world are using technology and social media to expand their personal and professional promotion. This key session will show you how to increase yours. 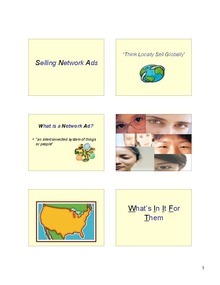 Learn how to use the Internet to find and communicate with new advertising opportunities. 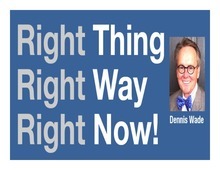 Let your fingers do the walking as you use highly efficient electronic tools to increase your sales and commissions. In this texting, email and voice mail world, it's easy to forget professionalism, particularly with new clients. Don't "b 2 qwik 2 txt, Ls u b" dismissed as unprofessional! Now more than ever, you need to show your customers how important they are. 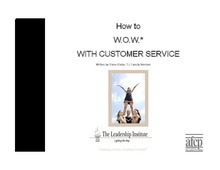 Attend this session to get fresh ideas for astounding your customers with exceptional service. 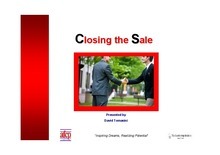 In sales knowledge is power. This class will show you how to develop “Industry Profiles” that make you an instant expert on a wide range of businesses. This tool will help you close more business and reduce pre-call planning time. 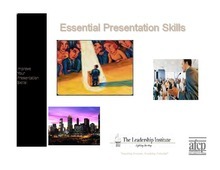 Whether you are asked to speak to a Chamber of Commerce meeting or to your own sales team, mastering public speaking is important to any salesperson’s or manager’s career. This course will give you the basic skills you need to communicate clearly and confidently to any group. The development and growth of alternative media presents today’s community paper salesperson with unprecedented challenges. This course will examine the state of the industry and provide you with the tools to counter competitive threats and prove the relevance of print. We all spend a lot of time on the telephone. This course details how to get the most out of every call. 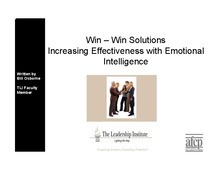 Win hearts and minds with advanced communication skills. Make your messages memorable by engaging your clients on both an emotional and mental level. 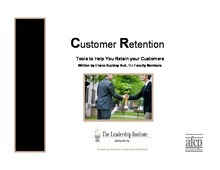 Explore simple ways to build unbreakable relationships with customers and motivate them to take action using proven techniques. 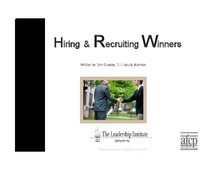 Stand out from your competition and win more business by being a true consultant. 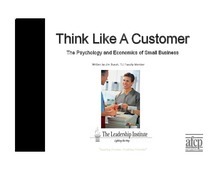 Leverage your knowledge of advertising and the market to add value to every customer interaction. 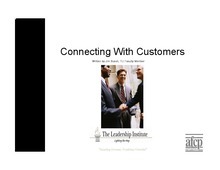 Learn easy methods to build customer trust and strong mutually profitable relationships with them. 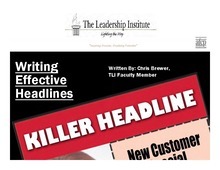 TLI138 – Headlines That SELL! Does your ad capture the attention of the reader or in some cases turn them away? Learn how to attract and maintain your reader’s attention with headlines that build curiosity and interest in your client’s product. This great interactive class will give you fresh new ideas to take to the field. Learn how to use simple design rules to create powerful ads that will jump off the page and generate a better response for your advertisers. This class will also cover how to sell customers on the advantages of well designed ads and how to use your design skills to take business away from your competition. Motivate your employees! Inspire your co-workers! Boost your bottom line! Get outside yourself and get your creative juices flowing as we explore why organizations need creative leadership techniques. 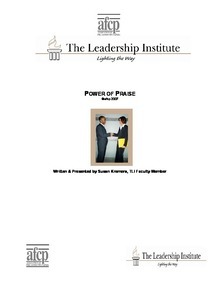 Learn to develop your staff by "praising them to success." 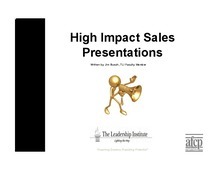 This session will cover how to use praise to motivate your people to adopt behaviors that will increase their effectiveness. Learn how to impart your knowledge of business and life to the people who work for you and use these skills to ensure the success of your enterprise -- today, tomorrow, and far into the future. Maximizing your selling potential when your product is on line could be the difference between success and failure in the 21st century. 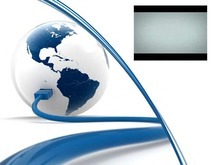 Learn easy to use, tried and true methods to make money on the web. 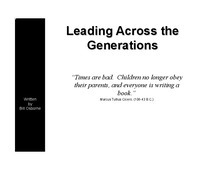 This important topic has too much to present to fit into one session! 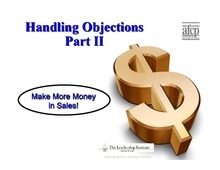 Attend this session to discuss some of the more difficult objections and sure-fire ways to address them. Find yourself buried in emails and paperwork? 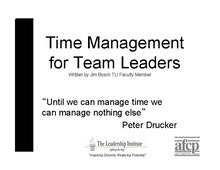 Nothing can be more important than the time you spend in the field with your staff. 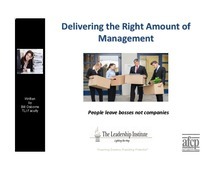 Learn how to tame the paperwork master so you can maximize your effectiveness. In this world of downsizing, increased responsibilities and ever increasing goals, targets can often get unreasonable. 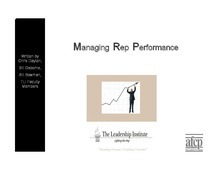 Learn how to effectively communicate with your organization about being realistic in goals and performance. TLI230 – Online and in the Paper – Selling blended print and web advertising programs. This class will show sales people how to plan, position and sell blended web/print programs which will get results for advertisers and generate revenue for publishers. 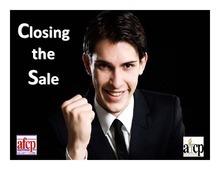 Sell more advertising on your paper’s website and protect your print product. Also covered, using social media to drive readers to your paper. 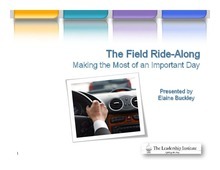 Salesperson/manager ride-alongs are common practice, almost everyone reading this has participated in one, either from the driver’s seat, or as a shotgun-riding manager, so how do sales organizations get the most out of these interactions? 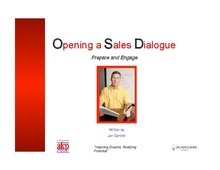 During this session learn why this direct observation and feedback is invaluable to managers and sales associate, how it's a real slice-of-life example in lieu of viewing staged role playing; and finally, if done right the ride opens a psychological partnership between sellers and managers. 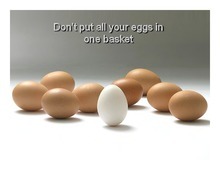 Value innovation requires us to think differently, do different things and do things differently. By constantly challenging the ways we or our customers do things, value innovation is a culture that facilitates winning and success in our organizations and our customers organizations. It is not a campaign with an end point but a collaborative effort joining hands across all projects, with clients and often with vendors. Statistics can be a powerful and informative part of an advertising sales presentation if used effectively. Understanding which publishing statistics to incorporate into your sales presentation in order to keep it interesting and informative but without overwhelming your audience with numbers is the key. 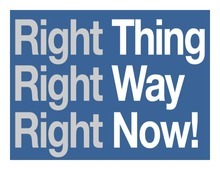 The right balance is sure to move your prospect to action. Learn the value of utilizing social media to promote your product, your services and yourself! Learn how Facebook, Linkedin, Twitter and YouTube can all be important tools in your sales strategy. Understanding the specific strengths of each and how you can gain from each of their unique networking capabilities. 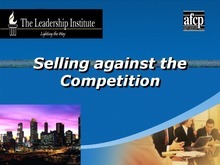 This class will examine the differences between marketing and sales. It will offer tips from a marketing perspective that will make sales people more effective and examine what marketing tools that are most valuable to sales people. “Culture Eats Strategy’s Lunch” - This workshop will focus on the challenges within today’s workplace and the leadership and management responses necessary for success. It will specifically address the tension between business strategy and workplace culture. 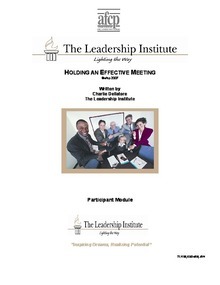 This session will provide you insight and guidance for how to approach and resolve the tension. 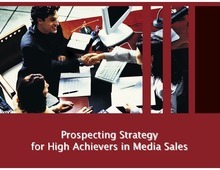 Want to master the art of Digital sales? 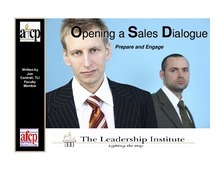 Would you like to train your sales staff to sell digitally? This class will provide with the keys you and or your sales staff need to start selling more digital advertising the minute you get back to your office Monday morning. .
Download "TLI 306 Art and Science of Advertising.pdf"
Download "TLI 234 NonTraditional Sales Openings.pdf"
Download "TLI 232 Riding Shotgun - The Field Ride Experience.pdf"
Download "TLI 230 Selling Blended Print and Web.pdf"
Download "TLI 226 Leadership handout.pdf"
Download "TLI 225 Managing Expectations.pdf"
Download "TLI 224 Time Management for Team Leaders.pdf"
Download "TLI 223 Managing Rep Performance.pdf"
Download "TLI 222 Handling Objections.pdf"
Download "TLI 221 Make Money with Online Product.pdf"
Download "TLI 219 Hiring Recruiting Winners.pdf"
Download "TLI 217 Effective Meetings.pdf"
Download "TLI 214 Coaching & Mentoring.pdf"
Download "The Power of Praise-TLI213.pdf"
Download "TLI 144 Print is Not Dead.pdf"
Download "TLI 140 Ad Design for Non Designers.pdf"
Download "TLI 138 Effective Headlines.pdf"
Download "TLI 136 Connecting with Customers.pdf"
Download "TLI 134 Telephone Techniques.pdf"
Download "TLI 133 Selling Advertising in the 21st Century.pdf"
Download "TLI 132 Essential Presentation Skills.pdf"
Download "TLI 131 Industry Profiles.pdf"
Download "TLI 130 Think Like a Customer.pdf"
Download "TLI 129 How to wow with cust service.pdf"
Download "TLI 127 Leveraging Technology.pdf"
Download "Selling against the Yellow Pages Student Module-TLI124.pdf"
Download "TLI_118_Anatomy of an Ad.pps"
Download "Selling Network Ads Presenters Guide-TLI116.pdf"
Download "Time & Territory Management Student Module-TLI115.pdf"
Download "Writing an Effective Proposal-TLI112.pdf"
Download "4 Essentials Student Module-TLI108.pdf"
Download "TLI 106 Identifying & Developing Needs with Effective Questioning.pdf"
Download "TLI 107 Making Recommendations.pps"
Download "TLI-105 Communicating Through Listening.pdf"
Download "TLI 104 Opening Sales Dialogue.pdf"
Download "Sales Objections Student's Module-TLI103.pdf"
Download "TLI 102 Prospecting Slides.pdf"
Download "Copy of Phone Sales for Inside and Outside Sales Reps.pdf"
Download "TLI WITHOUT VIDEO for april 2010.pdf"
Download "Prospecting AFCP TLI 102.pdf"
Download "Closing the Sale TLI101.pdf"
Download "TLI 116 Selling Network Ads 2017.pdf"
Download "TLI 128 Once is not enough.pdf"
Download "TLI 141 Turning Adversity Into Opp.pdf"
Download "TLI 143 Selling against the Competition.pdf"
Download "TLI 145 Power of WHY.pdf"
Download "TLI 146 Five keys to setting and achieving your goals.pdf"
Download "TLI 231 Leading Across the Generations.pdf"
Download "TLI 233 Why We Follow Great Leaders.pdf"
Download "TLI 237 Native Content.pdf"
Download "TLI 241 High Imapct Sales Presentations.pdf"
Download "TLI 242 Delivering the Right Amount of Management.pdf"
Download "TLI 306 The Art & Science of Advertising.pdf"
Download "TLI 314 The Human Side Of Scientific Selling.pdf"